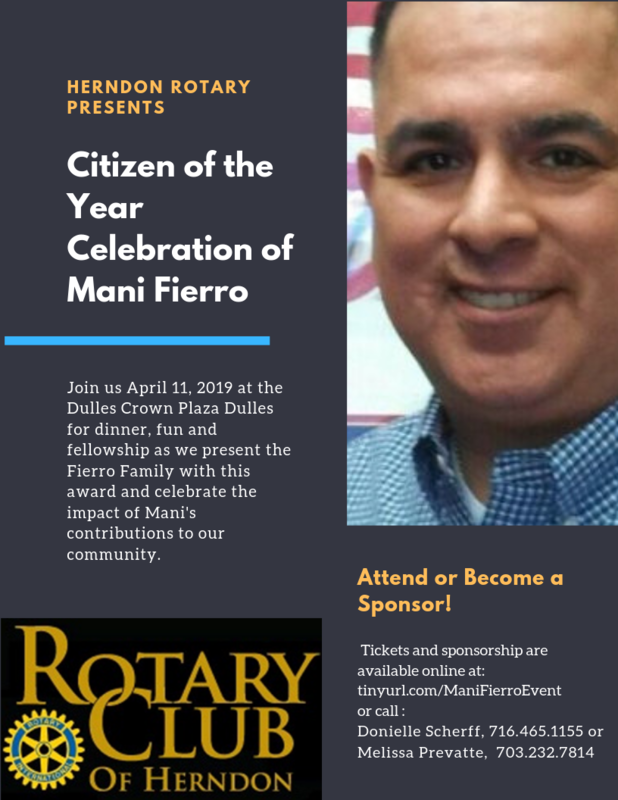 Join Herndon Rotary as we honor the life of Rotarian Manuel "Mani" Baca Fierro with the 2019 Service Above Self Citizen of the Year award. 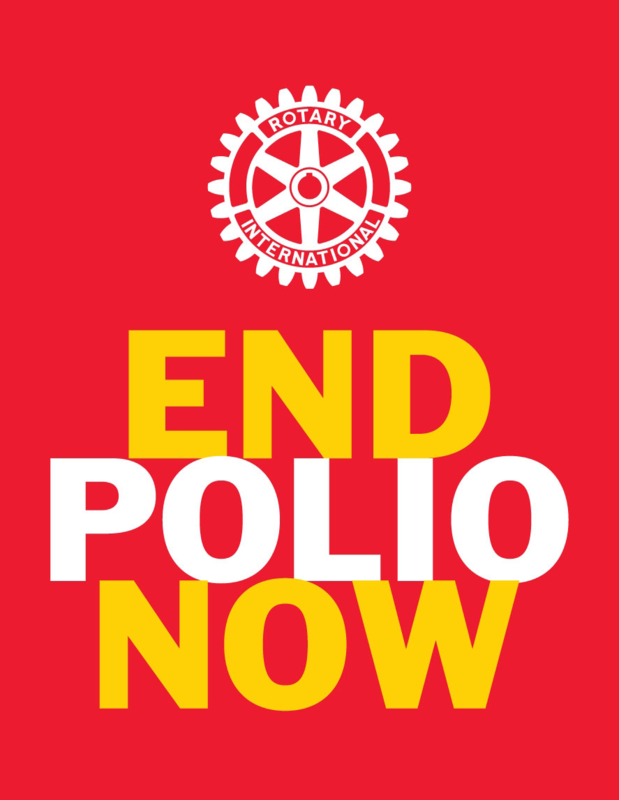 This annual fundraising event begins with check-in at 6:00pm. Cocktails with a guest bartender and silent auction continue to 7:30 pm. Dinner and award program are followed by dessert and auction check out from 8:30 to 9:00. Mani was an attorney and owner of The Herndon Law Office, PLLC. 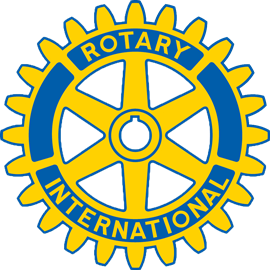 He was an active member of the Loyal Order of Moose; a Rotarian and recent Paul Harris Fellow; a Little League coach and a mentor to many. He volunteered his time and provided free legal services to charitable organizations and those in need in Virginia. Mani was President of the Jeanie Schmidt Free Clinic-- a clinic that provides free medical services to children and chronically ill adults. This vital community service has been adopted by Fairfax County and is now called Healthworks. Mr. Fierro also served on the advisory Board for the Northern Virginia Community Foundation Herndon. Mani passed away unexpectedly in November 2018. His family will be on hand to accept this award. Mani had a big welcoming personality; one that could turn a room of strangers into lifelong friends. We hope you will join us as we honor our friend's life and celebrate the impact he made on our community.